Ask any mortgage marketer the keys to success and they’ll give you a litany of buzzwords. Go viral. Go social. Reach out via email marketing. Make sure you’re mobile. Rarely will you hear the word “funny” among them. Attracting positive attention in this day and age can be different, true. There is a lot of new technology out there for mortgage marketers like yourself—and for everyone else. But that doesn’t mean you should abandon the time-tested method that’s sure to attract the right kind of attention: the ancient art of being funny. Being worth someone’s time by entertaining them. Whether you want to attract new mortgage leads or simply want more buzz for your business, you’re going to have to start thinking outside the box. 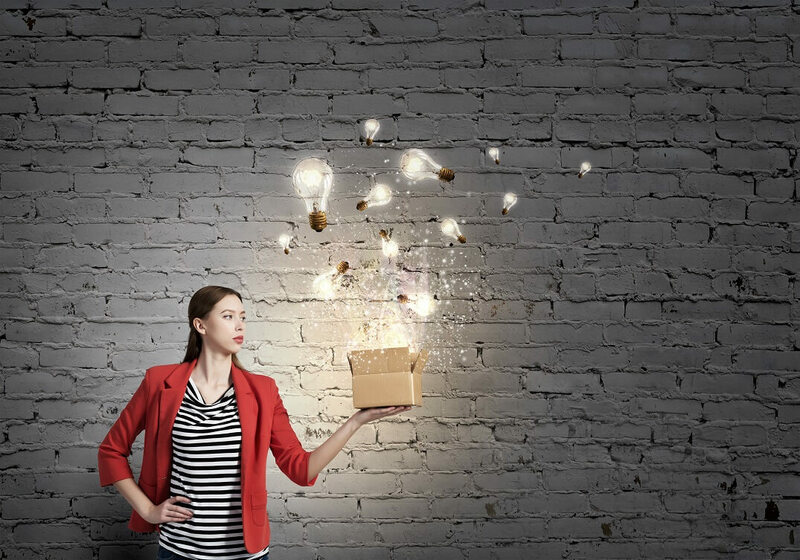 The first formula for breaking outside the usual box and grabbing new mortgage leads is simply to mix an old idea with something fresh. At HardcoreCloser.com, Ryan Stewman took the traditional method of creating videos—but he did it in a new way. That little twist—just one little choice that’s out of the ordinary—is all it takes to attract new attention. After all, how many people really expect mortgage marketers to generate new mortgage leads with anything but normal, boring videos? Add a dash of spice, however, and the whole thing flips on its head. We saw this on a national scale with Ojai Valley Taxidermy. That’s right: Taxidermy. Try and spice that up. Yet Chuck Testa and company actually did it by creating a hilarious, off-the-wall advertisement that was destined from the start to go viral. The formula? They took an old idea—a standard, low energy local TV commercial—and added a satirical twist. The commercial was so off-the-wall that you can’t help but laugh. Look around at your typical marketing methods. Chances are, there’s something you’re doing that’s in the same vein as every other mortgage marketer on the block. Where can you add that same satirical twist, and what would make it funny? True, it can be tiresome to see some companies try to capitalize on the latest trends. There’s even a full-blown Subreddit, FellowKids, that parodies these awful attempts at relevance. Sort by “Top,” and you’re sure to find all sorts of failed attempts. So how do you capitalize on viral memes without coming across as pandering? Stay in touch, even if it’s just a little bit. Every so often, take a look at the trends on Twitter. Sample some of the “memes” going on at Reddit. Get a sense of what makes some humor online more successful than the so-called lame attempts, and take notes. Go the extra mile. Remember that “gold dress/blue dress” phenomenon a while back? Dunkin’ Donuts took full advantage by dressing up two donuts in the same way. Rather than make the same old lame attempt with a simple Tweet, they went the extra mile—and there’s nothing preventing you from doing the same. Throw in a sweetener. Sometimes, you can bribe your way out of “lameness” with a nice little offer. Sometimes, brands do this by creating coupon codes with funny phrases from the news. As a mortgage marketer, you’ll have to find a way to offer value while capitalizing on these latest trends. You don’t always have to be hilarious to have success or go viral—but you do have to put in more than 50% effort. One of the best ways to demonstrate intelligent humor and capture attention is to lure people in with one set of expectations…and then blindside them at the end. Consider the best visual gags. This “train station” shot from Top Secret! is a classic sample. Take twenty seconds to watch that video in a new tab, then return. Go ahead. I’ll wait. Caught you off-guard, didn’t it? Chances are you laughed not because it’s so darn hilarious, but because of the surprise of being tricked. Setting up one set of expectations and then completely defying them isn’t just a way to achieve hilarity. It can genuinely help your mortgage company stand out from the crowd. Earlier on, we wrote about one marketer’s idea to put an MTV “Cribs” twist on the familiar marketing video from open houses. This strategy is along those same lines. But when you put a “twist” on something, try to lure people’s expectations one way first. For example, you could spice up a mortgage newsletter by starting up with the same old updates about your company…and then halfway through the content, write “ah, forget it. Here’s a bunch of new offers instead!” It’s fun, it’s light, and people will enjoy the fact that you don’t take yourself so seriously. Turning expectations on their head isn’t just fun for you and refreshing for potential mortgage leads, but will usually draw more attention in the first place. One word of warning: don’t abuse this power. You don’t want to set up someone’s expectation for a discount and then reveal you have no discounts to offer, for example. Always do it in a light, harmless way. Yes, you’re a mortgage company, and in your search for mortgage leads, you do have to show that you’re a serious business. But if you can demonstrate that you don’t always take yourself 100% seriously, you’ll humanize yourself to potential customers—and that’s always good business. Email subject lines. When a Vietnamese restaurant sends out an email with the heading “Just Pho You,” you see why this might be endearing. Puns are especially great for emails, newsletters, and Tweets. A funny 404 page. 404 pages are those pieces of your site that say “Oops! There’s nothing here!” Most companies don’t take advantage of them. But as a mortgage company, you’ll endear yourself much more to potential leads if you put a funny message here instead. There’s no cost to it except a few moments of your time. 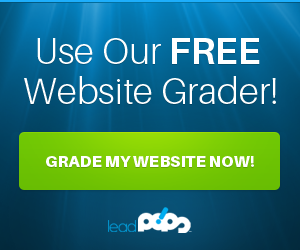 Update your blog with a real voice. Blog updates should be more than mere news updates. Have a voice. Show them that there’s a real person behind the words, taking the time to connect with your potential mortgage leads. 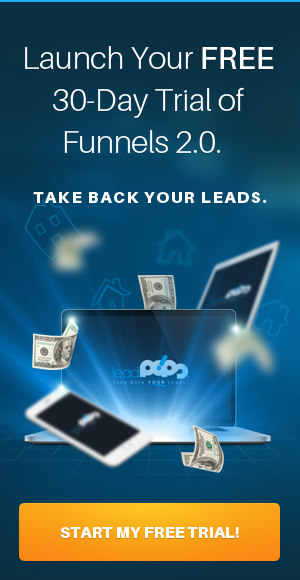 With all of that in mind, your efforts to find hilarity while acquiring mortgage leads will go a lot more smoothly if you try out leadPops as part of your new efforts. Simply incorporate a few of the tips you read here and find ways to mix up your usual mortgage marketing tactics that show there are real people behind the outreach. In doing so, you won’t just attract more attention, but you’ll become much more endearing to the people who are genuine leads for your business. The result isn’t just more fun, but more business.